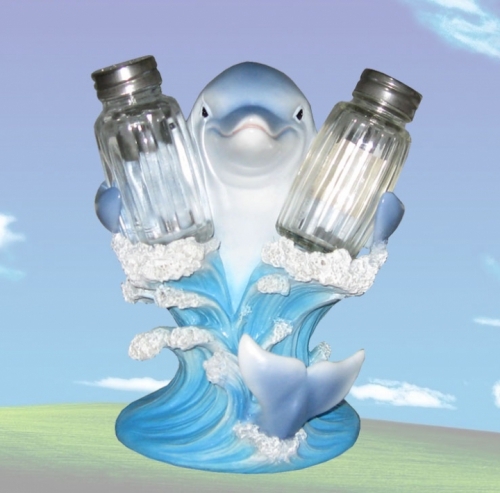 This cheerful Dolphin Sea Salt and Pepper Holder is fun and functional. A great addition to your beach house or sea cafe! Imagine your friend's surprise when they see this delightful dolphin holding the salt and pepper when they sit down to dine. Beautiful colors of blue and white are blended together with ocean waves to make this piece the perfect accent to your home or restaurant.